How to Plan an Awesome Party- in 10 Easy Steps! 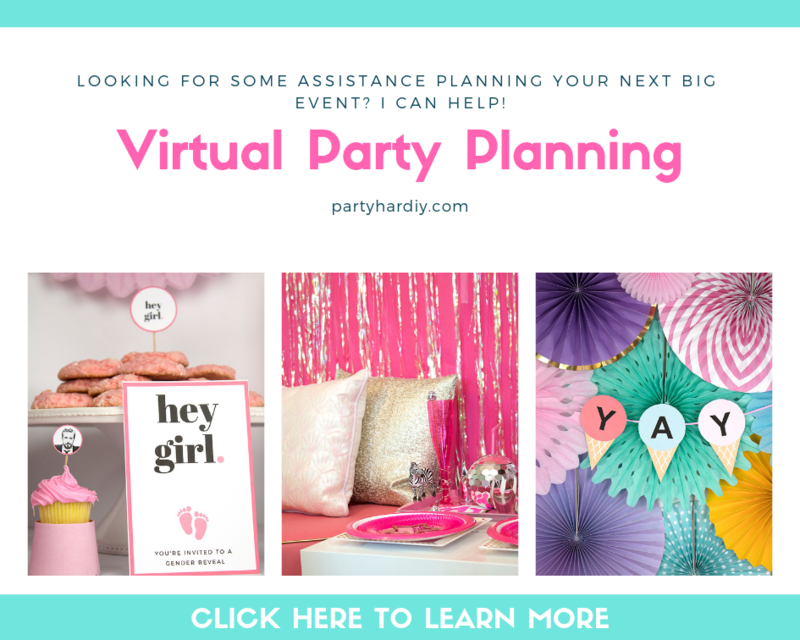 This is part one of my party planning series. Be sure out part 2 and part 3! I LOVE throwing parties. Among my friends, I'm known as the party planner. Anytime someone mentions having a party, I always get super excited, ask a million questions, and offer to help if they need it. Throwing a great party doesn't have to be stressful. 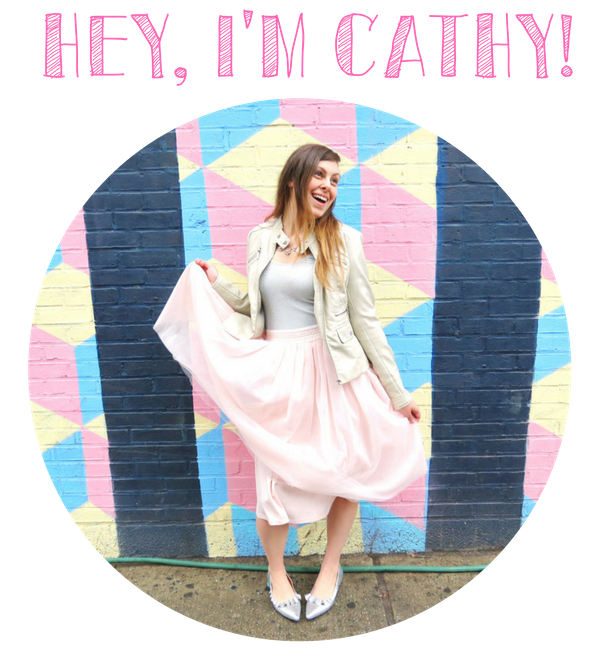 It can be super fun if you plan ahead and follow these 10 easy steps! 1. Decide on a theme. I absolutely love theme parties. It's much easier to have a cohesive look when you've got something tying it all together. Plus, guests love them! Do some brainstorming and pick a theme that matches the event, person, or holiday you're celebrating. If you prefer to keep it simple, pick a color scheme and follow that when purchasing your supplies. 2. Create a Pinterest Board. I like to create a separate board for each of my parties. This allows me to pin everything in one place and makes it easy to reference. I pin recipes, decor, drinks and inspiration. I also include any how-to's for items I plan to make and items I want to buy. This makes it really easy when I'm ready to sit down and order everything! 3. Pick a Date. Grab a calendar and pick a date, preferably one at least 2-3 weeks in advance. This will give you enough time to plan while giving your guests ample notice to coordinate their schedules to attend. Once you've settled on a date, plan out the steps for your party and create deadlines for each step, especially any DIY projects. 4. Create a budget. Before going wild buying stuff, think about how much you want to spend. If you notice your shopping cart total is higher than your budget, re-evaluate. Is there anything you can omit? Does a friend have something you can borrow? Can you make it a potluck or BYOB party? 5. Plan your menu. Create a list of all the items you want to make, how long it will take, and if you can prepare anything in advance. This is a good time to create a shopping list and check your cabinets to make sure you have everything you'll need. I also like to get some frozen hors d'ouvers from BJ's or Costco and pre-made dips and salsas. This way if I get held back a bit, people still have something to munch on. 6. Plan out the DIY projects. Don't leave DIY projects for the last minute. Please oh please take my advice on this one. Many times I have left these projects for the night before (or day of!) because I wanted my sister to come over earlier and help me. This is a terrible idea. As with many DIY projects, things take a lot longer than you anticipate. Sometimes the project is tedious as well, and you only end up making half as many as planned (or two...). Do these projects in advance and save the night before for cooking, cleaning and decorating. 7. Think of fun activities. It's a good idea to have a couple of activities planned. They can be simple, like playing a game or a having a contest, or more complex, like a bounce house or petting zoo. Either way, it's a good idea to have something for people to do and encourage conversation. 8. Call dibs. If you plan to borrow something from friends, like a table or a speaker, be sure to ask them ahead of time so they can make it available to you. I also recommend picking up the item a few days in advance rather than having them bring it to the party. If they forget it or come late, you'll be left scrambling! Be sure to return it back to them quickly and in the same condition you received it so they won't be reluctant to let you borrow anything again. 9. Make a playlist. In the weeks leading up to the event, create a playlist of songs. If you plan to use Pandora or a similar program, sign on and give the stations a listen. Use the thumbs up and thumbs down feature to fine-tune the selection and create an awesome party mix! 10. Create a checklist. Once you've done all of the above, write or type a quick checklist outlining everything. Include your shopping list, the DIY projects, and a rough outline of the schedule for the day of the event (including setup). This will help to ensure you stay on schedule and organized! If you’re looking for more inspo, be sure to follow my Party Inspiratio n Pinterest Board for TONS of fun party ideas! Planning a wedding can be downright exhausting. Unlike any other party you've planned, this one seems to hold so much more significance! It seems like everyone has an opinion on what you should do, where you should go, and who you should invite. I've just started planning, and I feel like I've already hit a brick wall. My budget is way below market, I live in the most expensive place to get married (p.s. that's #1, 2 & 5 on the list! ), and my fiance has a huge family that we need to invite. All of this is enough to cause anyone stress, including someone who plans parties regularly! 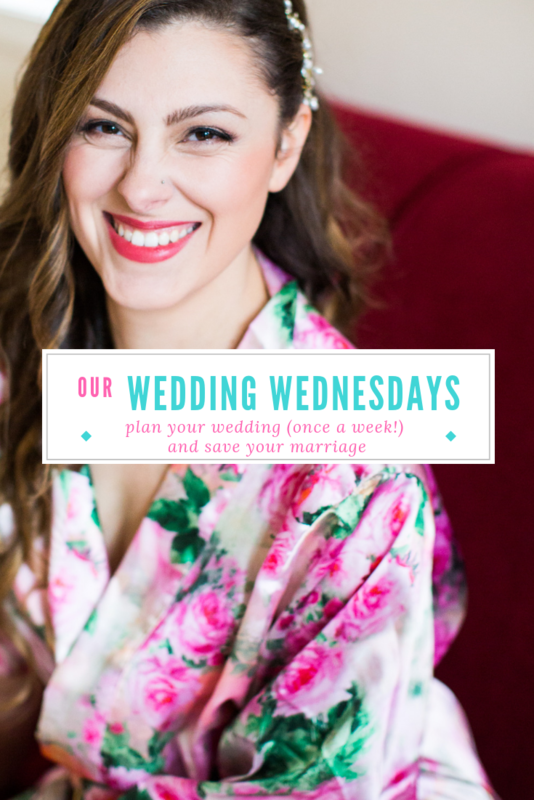 I recently had lunch with a friend/former coworker, and I was discussing (complaining) about how the stress of wedding planning is already causing my fiance and me to argue. In addition, since I love to plan parties and he does not, I feel like the entire burden falls on my shoulders. At this time, my friend made a genius suggestion- pick a day and make that "wedding discussion day". 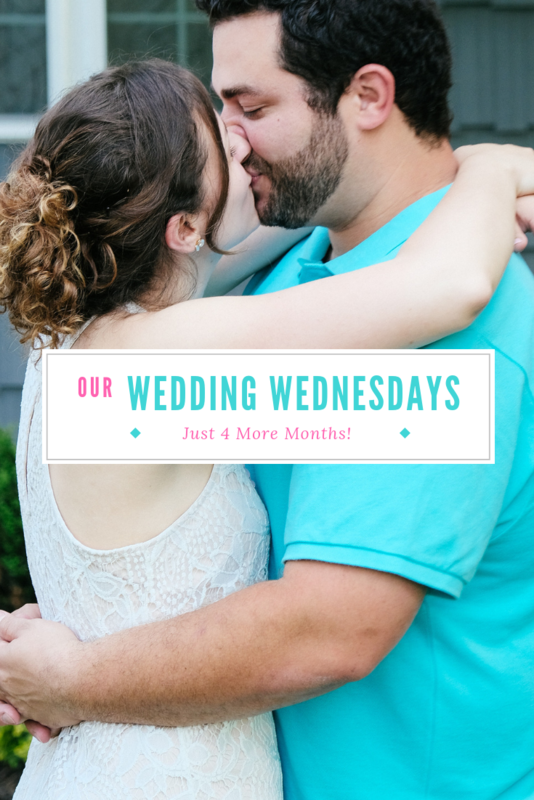 For me, that's Wedding Wednesdays. As soon as I heard it, I was intrigued, and it only gets better! She's one of the smartest people I know, and I'm so lucky to have her inspiring me. 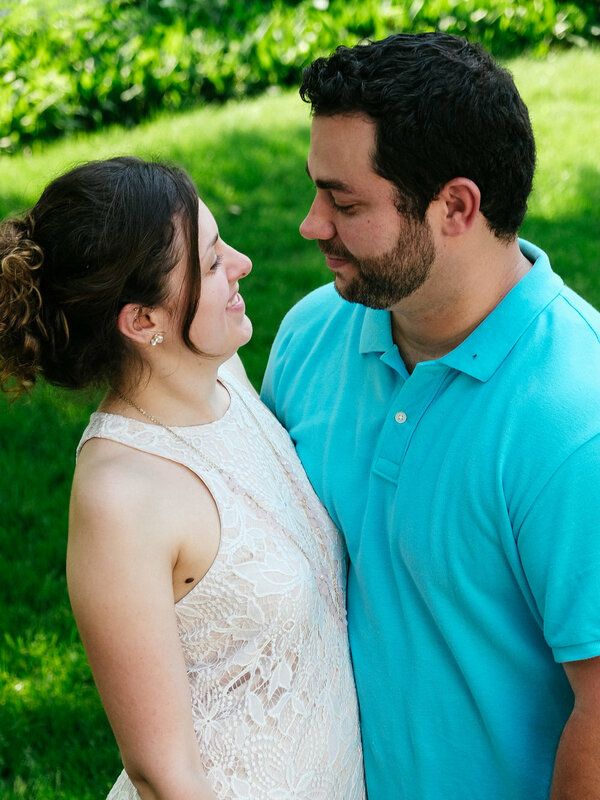 My fiance and I are also having some disagreements about location and other details. This is where Wedding Wednesdays is perfect. Each Wednesday, you can discuss a specific topic or set of tasks that need completion. Then, you can decide what the next week's agenda will entail. This gives each party a fair one week to research their options. At the next meeting, couples share their findings and make decisions. If one person does not do their research by the deadline, then they are essentially not prepared for the meeting. At this point, the decision will likely sway in the favor of the person who did their homework. To be fair, I think that an extension should be granted for certain topics, but overall it should allow for much smoother and quicker decision making. This method is also great if you have parents or bridesmaids that are helping. Instead of trying to coordinate schedules, there is one set day for everyone to get together and discuss. 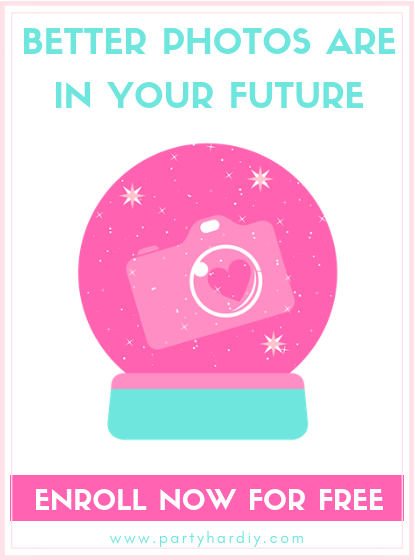 Do you have any sneaky tips on how to be more efficient in your wedding planning? Let me know in the comments below! Be sure to check out my colorful wedding ideas Pinterest board for some great wedding ideas!